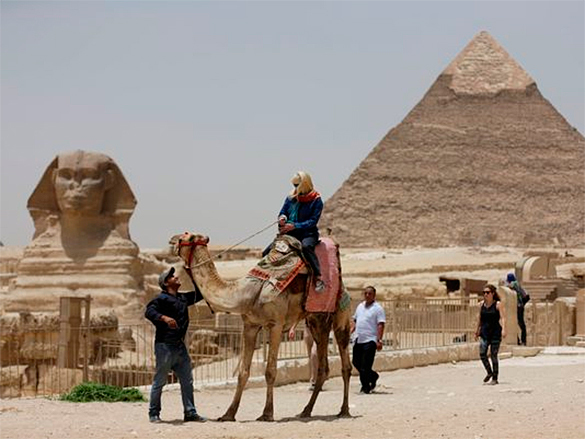 Giza Pyramids, Sphinx and Sakkara – Private Full Day Tour, Our tour give you a deep insight into Ancient Egypt, We will begin admiring the Great Pyramids before driving to the Step Pyramid in Sakkara. The tour will end in the city of Memphis – not the home of Elvis, but the capital of ancient Egypt. our representative will meet & greet you at Cairo International Airport, and handle your procedures through passport control, luggage area, customs formalities. Then you will be transferred to your hotel (with pool) by a private air-conditioned vehicle, Overnight in Cairo. After breakfast in the hotel, Step back in time to the days of ancient Egypt on a fantastic tour of the three pyramids of Giza plateau one of the Seven Wonders of the World, Cheops, Chephren, Mycerinus, Then proceed to visit the Sphinx, and The Granite Temple which belongs to the king Chephren, Thereafter drive to Memphis & Sakkara, one of the most exciting historical and archaeological areas in all over of Egypt. Visit the Step Pyramids of Sakkara, the world’s oldest major stone structure. It was built in the 3rd Dynasty for King Djoser. Then proceed to visit the Necropolis of Sakkara, the Mastabas of Ti and Prince Ptahotep. After that transfer to Memphis which was founded by King Menes, and was the first capital of the Ancient Kingdom of Lower and Upper Egypt, then Stop to see the Alabaster Sphinx and the remaining of two colossal statutes of Ramses II. You will also have the chance to visit a Papyrus Institute to see how the famous artwork is made and to teach the kids how to write their names in hieroglyphics, (Optional tour) sound and light show of the pyramids, overnight in Cairo. After breakfast in the hotel, then proceed to visit Cairo’s famous Egyptian Museum houses 165,000 Egyptian artifacts, but the priceless treasures of King Tutankhamen are the highlights. His six gilded coffins dominate the main hall, while his magnificent death mask is the star attraction. Continuing to the ancient sites and culture of Coptic Christians, Visit Abu Serga where the Holy family sorts refuge, and Ben Ezra, one of the oldest synagogues in Cairo. Learn about Christian life in Egypt. And discover the Citadel of Salah el Din where Mohamed Ali Alabaster Mosque stays, continuing to Khan el Khalili Bazaars Enjoy free time to stroll through the maze of streets and try your luck bargaining with the shop owners for a souvenir of your trip to Egypt. (Optional tour) Cairo nights; Egyptian Cultural Dinner Nile cruise and Show, overnight in Cairo. 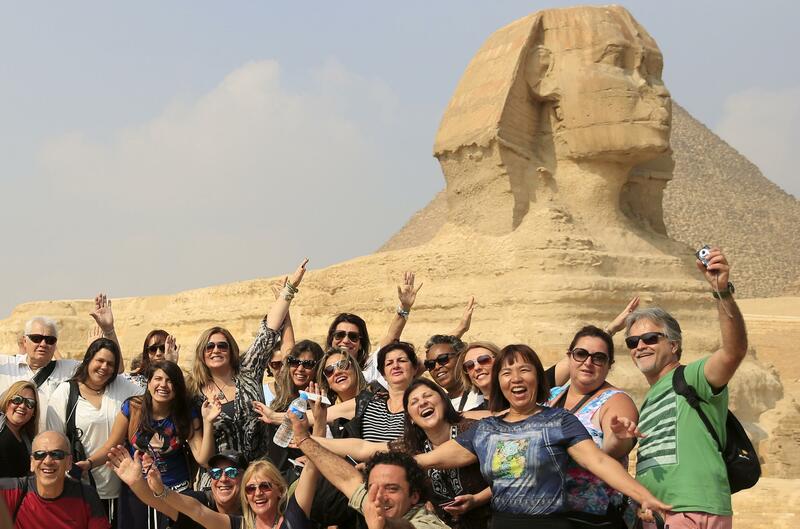 We offer a full day tour to The Great Pyramids, The Sphinx, Memphis and Sakkara. 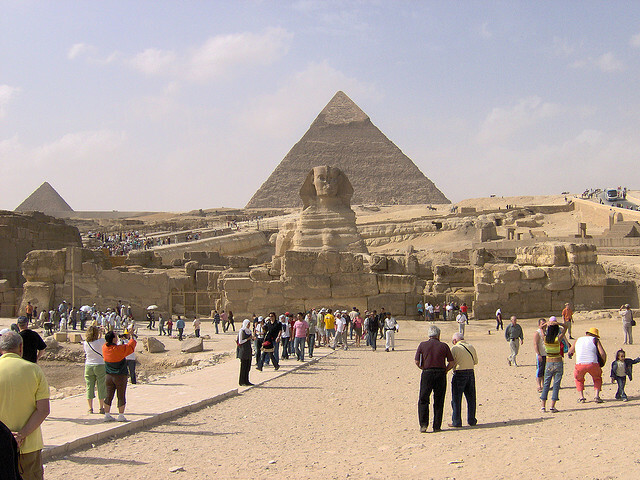 We will start our full day tour visiting the Great Pyramids – Cheops, Chephren and Mykerinos. The highlight of this section is getting close up to the Sphinx – the legendary guardian with a lion’s body and the head of King Chephren. We will then visit Sakkara, a 27 km journey from Cairo. The highlight of this section is the Step Pyramid. Built for King Zoser, it is considered an important part in the process of the pyramid evolution. Finally, we visit Memphis. Not the home of Elvis, but the ancient capital of Egypt.